Snaps are easy to install, secure, cross-platform and dependency-free, which means the snap package can be installed on most Linux distributions without the dependency failure issue. Snaps are the Canonical’s way of providing packages that can install on any Linux distribution. For those who never heard of Canonical, it’s the company that develops Ubuntu. Snaps are created similarly as any other Linux app, except that a single package is compiled along with all the dependencies required for the app to function. It’s a self-contained package similar to AppImage, with the latter being only a portable app. Therefore, installation of snaps packages is tremendously successful, unlike the standard packages that often break due to unresolved dependencies. Snap packages are available for desktop, cloud, and IoT devices as well. They are easy to install, secure, cross-platform and dependency-free. Snap is both the command line interface and the application package format. Snapd – It is the background service that manages and maintains the snaps installed on the computer. Snapcraft – It is the command and the framework used to build snaps. Snap Store – is the app store where developers can upload the snaps and users can install apps from. Snaps are a great thing that has ever happened to the Linux community. With several Linux distributions getting churned out every month, it’s users who are faced with a confusing ordeal on which Linux distro to choose. Users often need to make a hard choice whether to select a distro that has most supported apps or whether to go with a distro that’s built on the latest technologies. 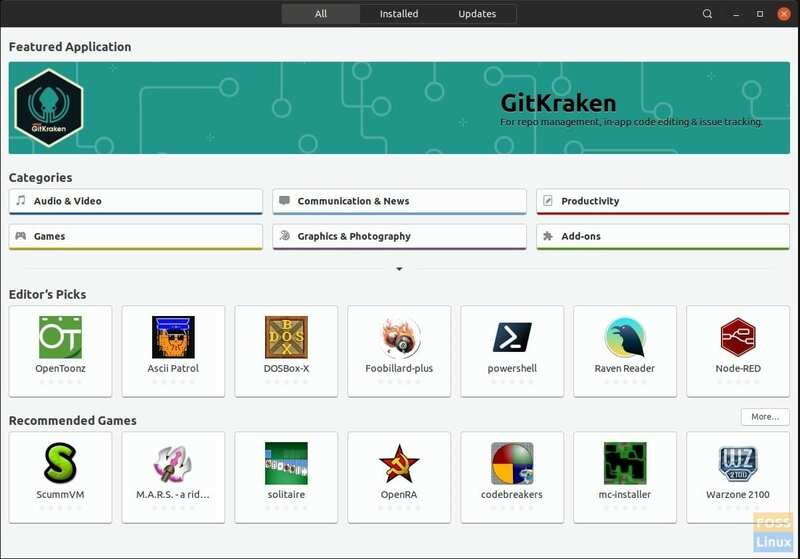 Snaps aims to fill these holes and make an app available on all Linux distros. Here are the advantages of Snaps. Snaps can be used on all major Linux distributions, including Ubuntu, Linux Mint, Debian, Fedora, and all their derivatives. This article covers each one of them in a step-by-step process. Restart or log out and log in again, to complete the installation. Launch Terminal and enter the following commands one at a time. Restart to complete the installation. Restart or logoff and login again to complete the installation. Restart or logoff and login again to complete the installation. That’s it. Reboot the computer to finish the installation. In order to take full advantage of the snap, installing snap store on your Linux distribution gets you closer to the wide range of ready to install apps. Let’s install Snap Store. That’s it! You can launch Snap Store from the Application launcher, and then browse through thousands of snaps.